HaPP first opened it´s door in Luxembourg in 2011 at 2 rue Henry VII where we still are. HaPP stands for Healthy and Pure Products, in essence, we take a common sense and down to earth approach to eating by avoiding processed foods, replacing them with quality local and preferably organic products. This is at the heart of our food philosophy. We all have our own ideas about what healthy means but, for us it is all about promoting a good quality of life, energy and happiness. Healthy food made from fresh raw ingredients. Real food, made from scratch in our kitchen without additives, supplements or artificial colourings. Natural works of art for our tastebuds and eyes. Good memories with good friends. Laughter and happiness. Physical activity and exercise. Overcoming obstacles. Peace of mind and stability. Empathy and sharing. 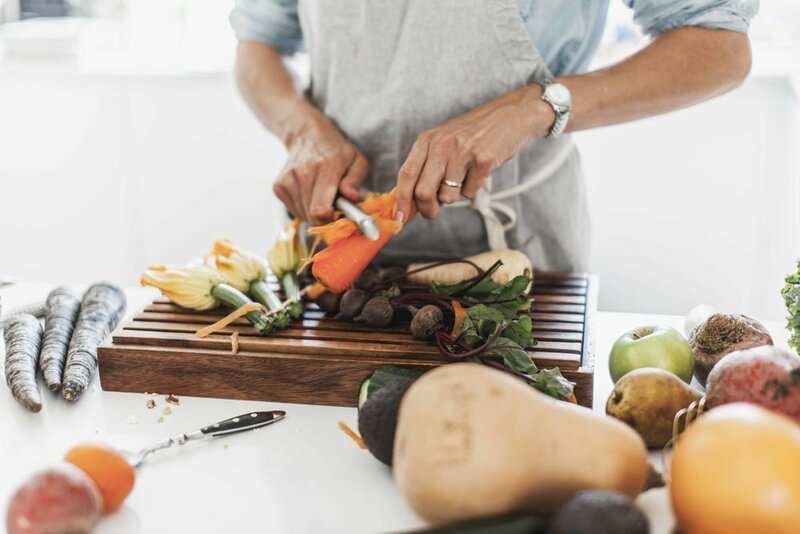 In the HaPP kitchen we believe that food should be both nourishing and healthy. Meals should be simple but tasty. They should also be a colourful sight for the eyes and nourishing for both body and soul, without being pretentious. Above all the meals should be fresh and pure. We believe that by consuming unprocessed food we can become healthier and prevent or even cure some diseases.